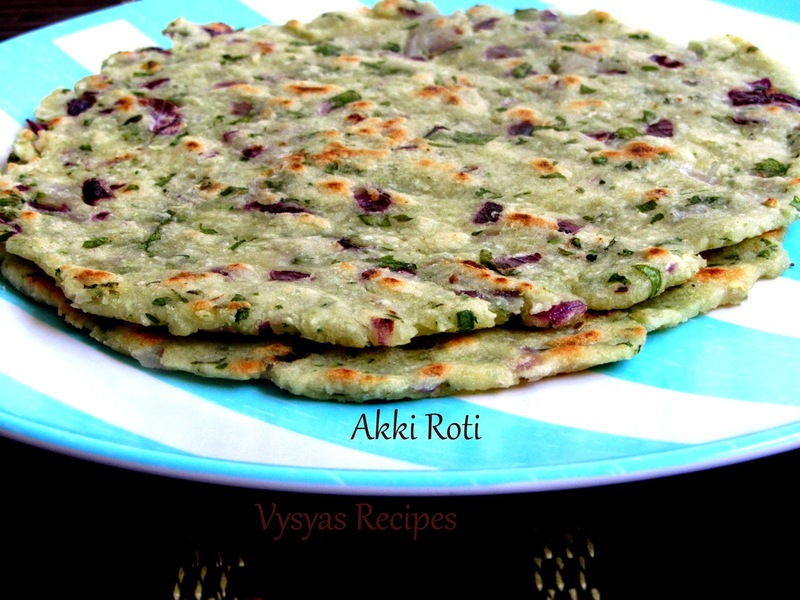 Akki roti is a rice based soft roti made with rice flour cumin seeds, onions, coriander leaves and green chillies. 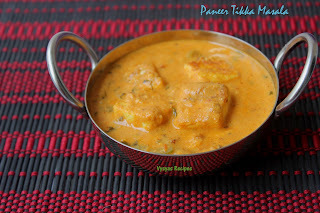 It is a popular karnataka recipe. Along with rice flour i have added some cooked rice to make it soft and even more tasty. 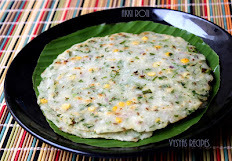 if you have rice left overs you could make delicious roti for your breakfast. Rice flour - 1 + 2/3 cup. 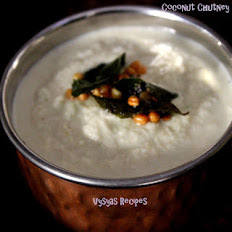 coconut grated - 1/4 cup. Chop the onions and cilantro finely. Grind Cooked rice,salt,green chillies and cumin seeds in a blender into a fine puree . 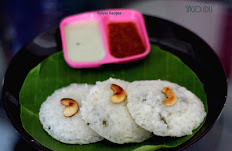 Take a mixing bowl add rice flour, cooked rice paste, chopped onions,coriander leaves,green chillies,cumin seeds and grated coconut, mix well by drizzling little water into soft and spreadable dough. Take a plastic sheet or banana leaf grease with oil, take big ball sized dough and pat it into a circular disc, in between wet your hands in bowl of water. Heat the tawa, when it is hot,place the circular disc over the tawa, drizzle some oil. cook it , till both the sides turns golden brown colour then remove it from tawa.Serve hot. 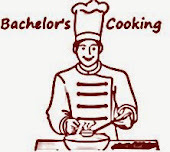 Adjust the quantity of rice flour, according to the consistency of the dough. Akki roti with cooked rice is new to me looks delicious. Crispy and tasty roti...... I do the same method!! Roti with leftover rice sound interesting must try it . I knw dis from my Child hood..it is Very healthy n tasty to. delicious!! i will definitely give it a try... thanks for the recipe! !